Hi again! The semester is nearing a close, but, before then, let me update you on all the fun I’ve had since my last post. The rest of spring was spent exploring more of Europe. In the last few weeks, I visited England’s immediate neighbors Scotland and Ireland, as well as Austria and Spain. 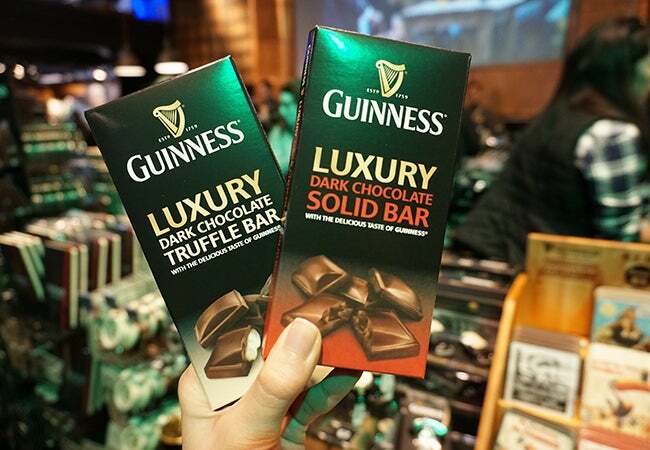 My day trip to Dublin was a spur-of-the-moment decision after chancing upon a 29-pound return flight ticket. 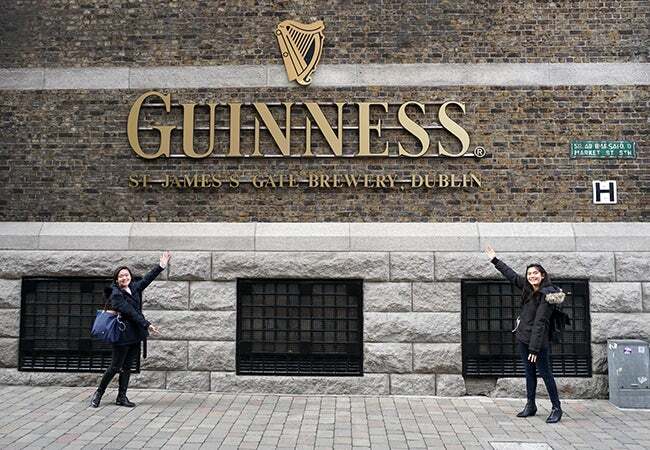 In less than 24 hours, my friend and I ate through a few cute cafes, visited Dublin Castle, and, of course, toured the Guinness factory. While we didn’t see any leprechauns or four-leaf clovers, we did learn more about the history of Ireland and their struggle for independence from Britain. 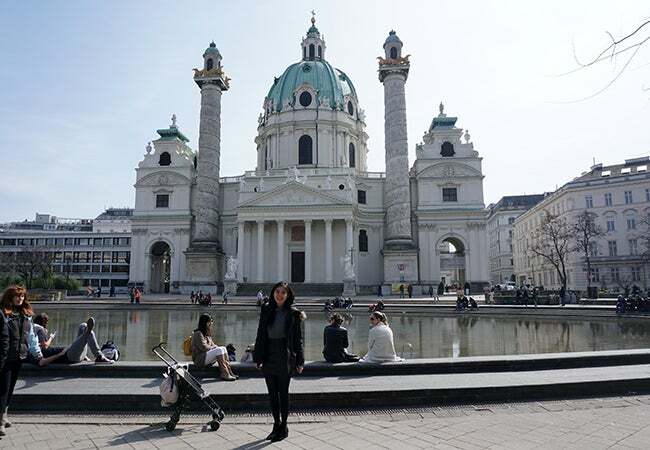 The next stop was Vienna, where I stayed with a close friend from high school. While in one of the world capitals of music, I visited Mozart’s home and watched Faust in the Vienna State Opera. Faust was all in French, but fortunately there were English subtitles so I could follow along. 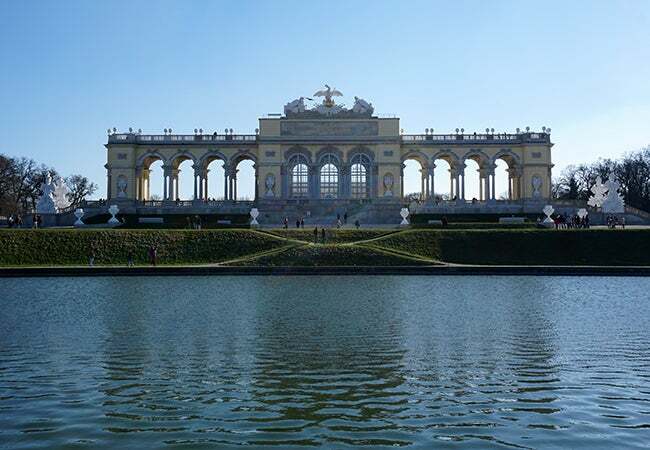 Schönbrunn Palace, the summer residence of the imperial family, was also on my agenda. There, I learned about the royal family while walking through some of the most beautiful rooms I have ever seen. Spain was by far my favorite and most memorable country to visit. 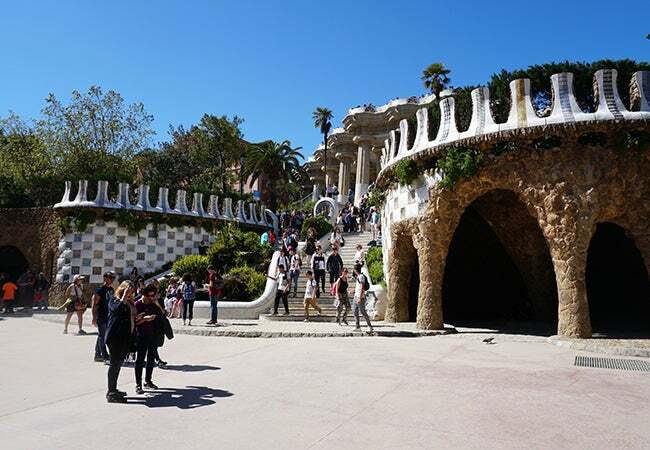 In Barcelona, I had the brilliant idea of biking up to Park Güell. Google maps said it would only take 30 minutes, but it didn’t account for my poor biking skills and the very real, very steep uphill battle. Three quarters of the way there, I called it quits and grabbed a cab. [Disclaimer, the photo above did not capture our struggle.] Madrid was another amazing city where I watched flamenco dancing live. Fun fact: flamenco is performed by both men and women. Finally, my last destination was Edinburgh. Having attended a British international school with many Scottish teachers, I was always intrigued by the country. 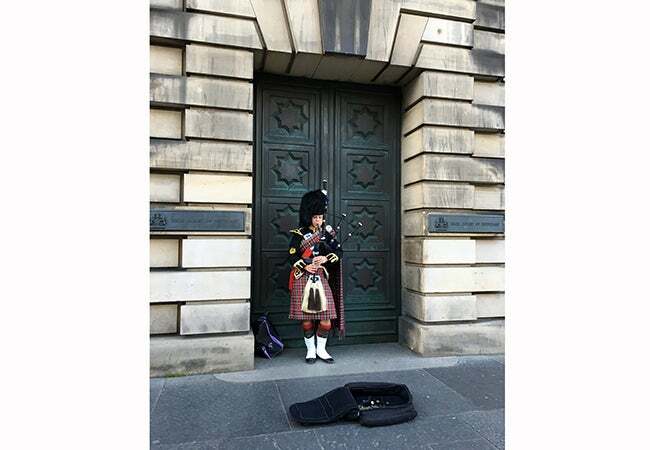 On the cobbled streets, I watched people busking with bagpipes, kilt and all. I also caught a glimpse of Edinburgh Castle but unfortunately did not come home with a prince. 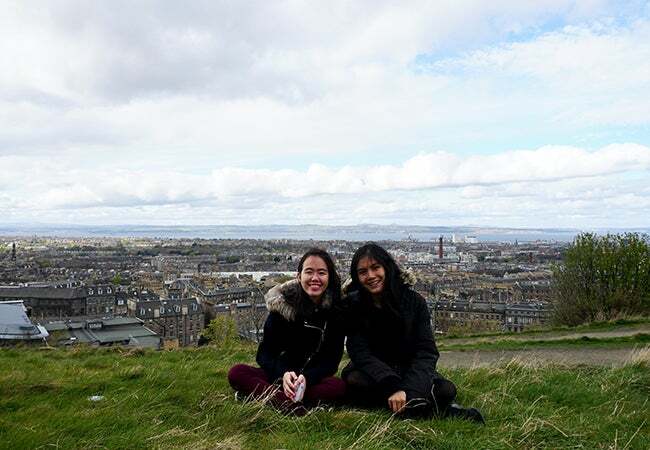 Climbing up Calton Hill gave me a spectacular view of the city and was a great way to end my trip. 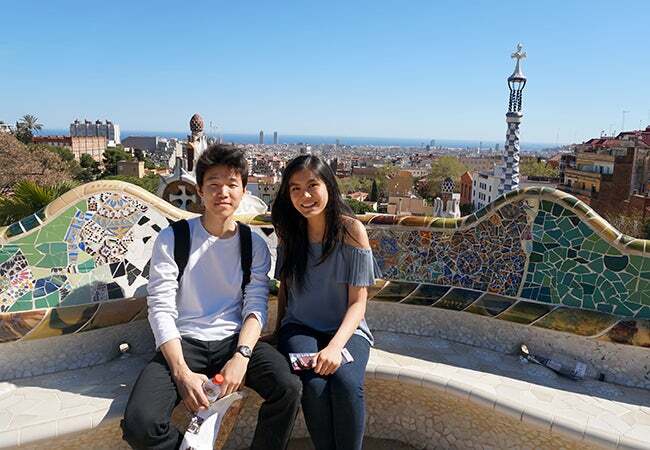 I hope you enjoyed learning more about my time abroad and following me as I recount my adventures.